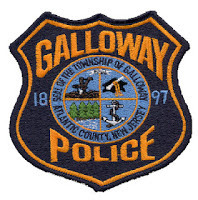 According to Galloway Township Police an accident that occurred on June 27, 2013 at 6:04 p.m. on the White Horse Pike and Vienna Avenue has sent six individuals including two minor children to the Atlanticare Regional Medical Center in Pomona with injuries. A 2004 Jeep Wrangler driven by Matthew Craig of Galloway NJ left the eastbound lane of Route 30 in attempt to avoid a vehicle stopped in front of him. The Wrangler entered head on traffic and struck a 1999 Dodge Durango driven by Linda Johnson of Mays Landing. The Dodge spun out of control and came to rest several hundred feet away. The Jeep Wrangler continued east in the westbound lanes until colliding head on with a 1999 GMC Jimmy driven by Jose Felicano of Egg Harbor City. All occupants in the accident were injured. The driver of the Jeep suffered serious but non life threatening injuries and was transported to ACMC City Division. The driver of the GMC suffered injuries to his head and neck; he was transported to ACMC Mainland Campus in Pomona. All four occupants of the Dodge including a 10 year old and 12 year old child were transported to the Mainland Campus for minor injuries. The right westbound lane of Route 30 was shut down for approximately 2 hours while the vehicles and debris were removed. The driver of the Jeep is being charged with careless driving and failure to maintain lane. Officer Steve Garrison is investigating the accident.